Demonstration of the Arabs in protest against the migration from the north of the circle of Km leading to Bab al-Jadid 13/10/33 ... Another scene of the demonstration in 1933 .. The road reached between the prisons of the former Deir Al-Rum hospital and the school of Mar Dmtri for males belonging to the Roman monastery also. 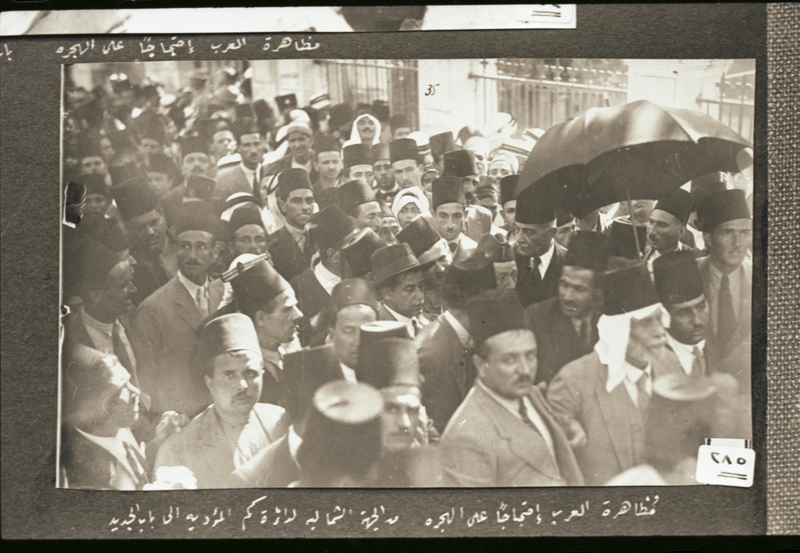 I see at the head of this procession the great leader Musa Kazem Pasha and on his head the white handkerchief under the umbrella and beside him Ibrahim Darwish and behind him the leader Yacoub Farraj and others "